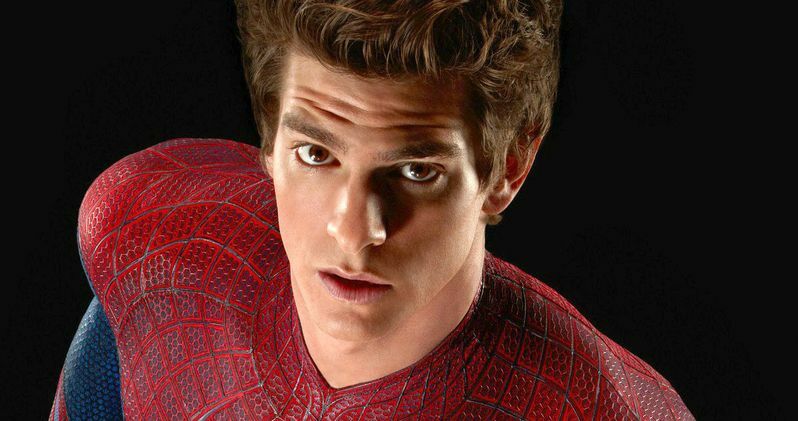 At the moment, most people probably know Andrew Garfield for playing Peter Parker in The Amazing Spider-Man movies. He is not really the definitive Spidey, mind you, just a guy who played him in two movies that ultimately led to Marvel Studios being able to use the character again. That deal between Sony and Marvel is why The Amazing Spider-Man 3 never happened and Andrew Garfield actually thinks that is a good thing now. The actor recently spoke with Fandago about a couple of his upcoming movies such as Hacksaw Ridge and Silence. It is because of those movies that Andrew Garfield is perfectly fine with the fact that he never returned for The Amazing Spider-Man 3, which was originally slated to come out in June this year. Here is what he had to say. "To be honest, I would not have been able to work with Mel Gibson and Martin Scorsese if I had done Spider-Man 3. I'm incredibly grateful that I get to now go and watch another man play Spider-Man, who I think is a fantastic actor in Tom Holland." Given the early buzz on both Hacksaw Ridge, which is marking something of a major comeback for Mel Gibson, and Silence, a serious Oscar contender with Martin Scorsese at the helm, many of us will soon know Andrew Garfield for much more than just his turn as Peter Parker. Since he got to work with both of the legendary directors and could be looking at an Oscar nomination (or two) this year for himself, it is pretty easy to understand why he is at peace with what could have been in The Amazing Spider-Man 3. It is also nice that he doesn't harbor any ill feelings toward Tom Holland, who many praised for his work as Spider-Man in Captain America: Civil War earlier this year. Even if he is ok with the way things turned out, Andrew Garfield was for some people the definitive version of Spider-Man on screen, and for whatever problems The Amazing Spider-Man 2 had, and there were plenty, he was very committed to the role. He was noticeably distraught when the franchise fell apart and Marvel didn't want him to carry over his version of the character into the MCU. He even had some ideas about where the story could go. Here is what he had to say in an interview with Uproxx at one point. "I was actually starting to workshop ideas with Alex Kurtzman, who was going to be writing it. We thought to kind of start from the base level, the foundation level of where we left Peter. And where do we want to see him go and what's logical. And how do we build upon where we left off with this deep, desperate moment with Gwen? So, yeah, we got to some pretty heavy places and I was really excited to kind of explore it and be involved on the ground level like that." The Amazing Spider-Man was a reasonably successful reboot of the franchise, but it was really The Amazing Spider-Man 2 that put the character on the path he is on now with his fellow Avengers in the MCU. The movie was expected to be able to generate an entire Spider-Man cinematic universe, but it didn't connect well enough with audiences and didn't do what Sony wanted it to at the box office. Granted $708 million worldwide is nothing to scoff at, but the inclusion of Spidey in Captain America: Civil War helped propel that movie to more than $1 billion worldwide and Spider-Man: Homecoming is expected to crush it next year as well. It is hard to imagine The Amazing Spider-Man 3 would have been able to accomplish as much. All things considered, it seems like Andrew Garfield has every reason to feel the way that he does.